Back to 2015, Charizard-Y was my most used Mega Pokemon in the entire year. After Rapha finished 2nd at US Nats with Gardevoir team, I have understood how Gardevoir team works well even though I never used it. In late 2015, I finished 2nd at a local PC with my own Gardevoir team, which was the only time I used it ever. The team I have used this year is more like what it was in 2015 because I know how this Gardevoir team works very well and I am not confident enough to use Charizard team in this format. Here is a QR Code for the team. The core and soul of this team, Gardevoir provides considerable spread damage to most Pokemon having no Fairy type resistance. Trick Room is a flexible speed control against faster teams, or just to reverse opposing Trick Room to bring momentum back. I don’t have any preference between Psychic or Psyshock since I rarely click psychic type move. 252 HP 84 Def enable Gardevoir to survive Return from max attack Mega Kangaskhan or neutral nature Mega Salamence, Earthquake from Landorus-T under half HP. 252 HP 4 SpDef is to survive Z Thunderbolt from max SpAtk Timid Koko in Electric Terrain. 116 SpAtk just hits 11n and 52 Speed could make Gardevoir faster than -1 speed Salamence but I actually did not have those speed control moves. In late 2017 Kangaskhan was still popular Mega especially normal doubles. Now I probably should figure out a better spread on physical defense since the dynasty of Kangaskhan was gone. Trace played a huge role as we saw in the tournament full of Intimidate Pokemon. Telepathy looks pretty useful paring with Landorus but it has much less chance to be activated. No.1 Gardy supporter back to 2015, Amoonguss enjoys Trick Room thanks to its low speed stats. It also can use Rage Powder to redirect damage going to Gardevoir. 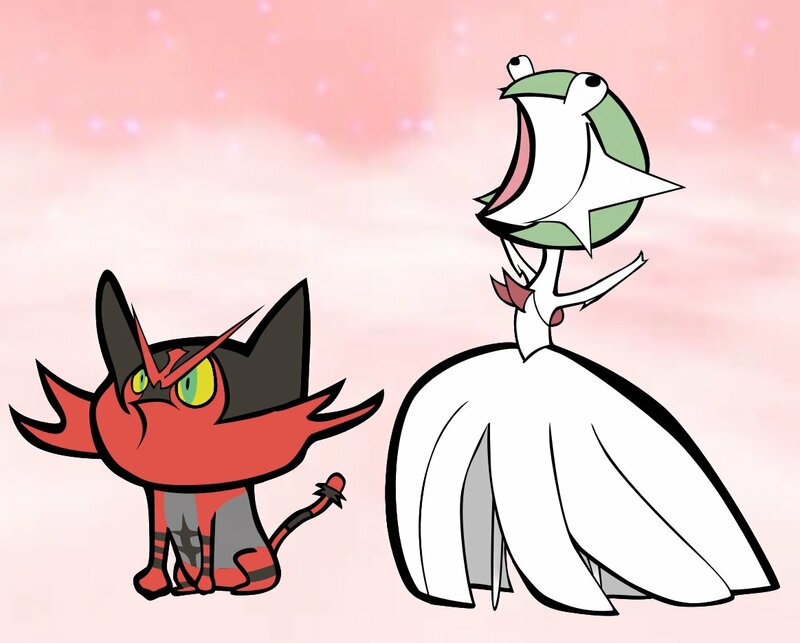 Even though Electric and Misty Terrain in Gen7 prevent grounded Pokemon being asleep, Amoonguss is still strong in company with Gardevoir thanks to its type and bulk. I maximized its bulk on physical defense because I have no ground immunity or resistance except Landorus since the meta is being dominated by Landorus. Max defense makes Amoonguss take least damage from Earthquake and become the shield of Gardevoir to support its low physical defense. I meant to leave 2 speed IV because I can have a chance to learn speed of opposing Amoonguss or Snorlax and then decide how I play next. I thought Snorlax was no longer in the meta in early 2018 because I did not play that much; however, its dominance at Portland Regional deeply reminded me of Clear Smog over Sludge Bomb. This Incineroar is what I used in MSS when Intimadate was not released. This slot used to be Infernape in 2015. However, in 2018, Psychic Terrain really nerfs Fake Out and Feint which are very valuable on Infernape. Also, frail Infernape are threatened by more faster Pokemon which could easily knock it out. The first time I saw Incineroar, I acknowledge its potential with Gardevoir based on its stats, moves and types combination. Flare Blitz helps Incineroar break steel walls that block Hyper Voice from Gardevoir. The other STAB move, Knock Off really shows its value which disables opposing items especially popular pinch berries in this format. I chose U-turn because initially I thought it would help Incineroar roatate Intimadate and Fake Out, but it turned to Low Kick which I will mention below. I prefer Assault Vest rather than Berry because Incineroar would need much more EV to survive Z move from Koko, leaving less EV on attack and speed. Incineroar’s speed is so important because Aegislash, Tyranitar, Celesteela and Incineroar itself have close speed stats and threat each other. Aegislash can be a either a sword or a shield for Gardevoir! I was a big fan of Aegislash in 2015. Based on its stats and unique ability, we call it 720 of top players and 320 of terrible players. Life Orb used to be my favorite item since Shadow Ball can clearly OHKO Metagross and Iron Head can knock out Fairy type like Gardevoir and Sylveon. Z move makes Aegislash even stronger in Gen7. As a Pokemon which has incredible high attack and special attack, Aegislash always lacked a strong STAB move. Now Z move, especially Never-Ending Nightmare just made it up, allowing Aegislash OHKO Pokemon having mid-low bulk by neutral damage. This Aegislash set is just from my 2015 Life Orb Aegislash, except Z crystal and Flash Cannon over Iron Head. In late 2017, I thought Heatran would still be popular due to its amazing resistances from its unique type. To counter a Pokemon which quadruple resists Fairy type attack, I put Tapu Fini in my team, taking advantage of its type against Heatran to set up Calm Mind. I did face against two Heatran at MSS and Fini did not let me down. Even though Heatran completely disappeared at Portland Regional, Misty Terrain also prevents my Pokemon from Status Conditions and supports my team against other Tapu. Landorus-T, the best Pokemon of all time thanks to its types, stats, ability and moves. People think it is boring that Lando always occupies the highest usage. On the contrary, I think Lando could be one of the most flexible Pokemon based on significant item, move and spread choices. At Portland regional, we saw Scarf, Assault Vest, Band, Groundium Z just in Top Cut. We also found Lando could be either physical or special attacker due to its plentiful moves. This Lando is completely the same as what I used in 2015. This spread allows it to survive Sucker Punch from +1 Life Orb Bisharp, Flamethrower from Chariazrd-Y, Ice Beam from Cresslia which was common in 2015. Banded Lando has a very decent chance to OHKO Shuca Berry Heatran or Kangaskhan that are big threats to Gardevoir back to 2015. Now I still keep it because I really enjoy the power and bulk of Banded Lando which also has fairly excellent speed. Because my team has no Earthquake partner, I usually click it only for critical knock out or late game where momentum has been confirmed. It was such great news that Intimidate Incineroar was finally released, which made it even much better! No word is needed to commend its value. Before Portland regional, Rapha tried to convince me to use Zapdos over Aegislash. I almost took it and EVed my Incineroar to 90 speed, which would be faster than Mega Metagross under Tailwind. However, I kept my Aegislash at the last moment since I really needed it to check Metagross, the biggest threat to Gardevoir. Somehow I kept this Incineroar spread, which gave me incredibly huge advantages against Tyranitar, Celesteela and opposing Incineroar. Low Kick over U-turn was because Low Kick is such a strong move against Tyranitar and Kangskhan, which are threats to my team. As mentioned above, Incineroar has become a thing after Intimidate was released. Consequently, I taught my Aegislash Sacred Sword to do some fair amount damage to Incineroar if necessary, and it also hits Snorlax and Porygon2 a little bit harder. Since I do not have ground immunity or resistance except my Landorus, I dropped Shadow Sneak and gave it Wide Guard that would reduce some pressure of spread moves especially Earthquake. I actually thought about Z Head Smash, Continental Crush on Aegislash against Charizard-Y and Incineroar, but dropped this idea due to its inconsistency. I do not want to lose physical attack since I have Sacred Sword so Quiet became my choice. 172 Speed EV makes my Aegislash 1 point faster than my Incineroar. As a result, I can use my own Incineroar to test if opposing Aegislash, Incineroar or Tyranitar is faster than my Aegislash, which is a safe option when information is not given. It was a tough matchup because two of my Pokemon would be OHKO by Charizard and Tapu Fini had very little damage output under sun. Game 1 I overpredicted when I had a chance to knock out Chariazrd since Demitri probably did not have clear knowledge about my Banded Lando. Game 2 I timed out because I was out of practice even though I clearly figured out what Demitri was going to do at that turn. I realized the value of Incineroar in this matchup at the cost of Round 1 loss. Not too much to say, my opponent is a junior or senior who had imperfect Pokemon. 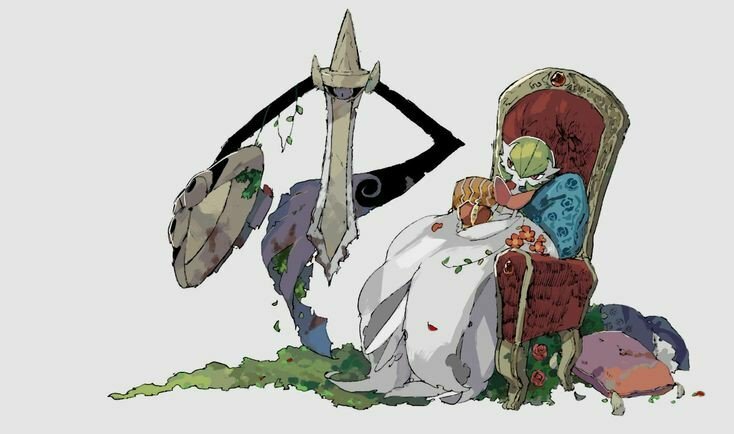 I immediately found Amoonguss would play a huge role here. It completely limited opposing Bulu and Fini, and redirected big damage from Mega Gengar or Mega Kangaskhan. My Fini and Lando helped me check Heatran very well, which Gardevoir usually had trouble against. This could be the most intense set throughout the entire MSS not only because Randy had a Metagross team but also he’s a player you have to be very carefully against. A game could be easily overthrown in Randy’s favor even if a single mistake is caught. I trust Randy as such a well prepared player so game 1 my Aegislash did not take any risk but used King’s Shield. I baited Scarfed Lele’s Nature’s Madness and Metagross’s Stomping Tantrum, managing to OHKO Lele next turn when Metagross retreated. 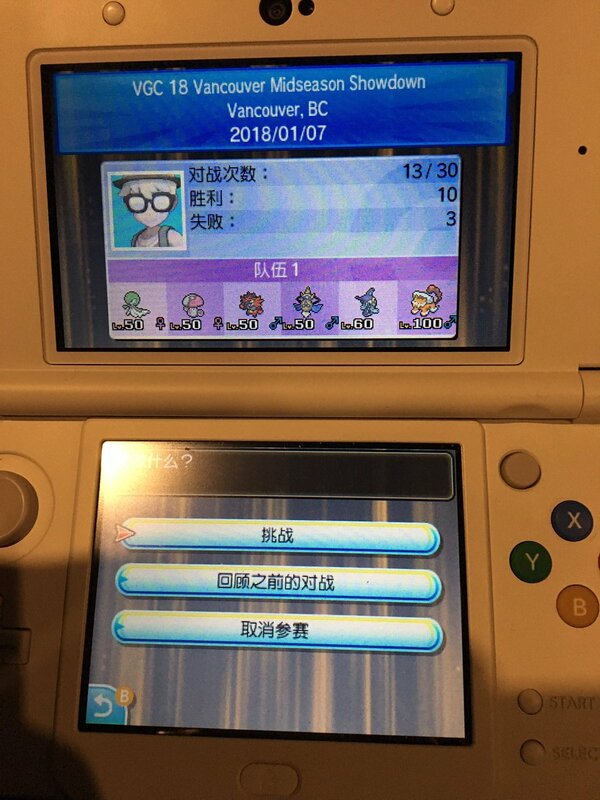 Game 2 Randy brought Thundurus over Lele. I managed to set up Trick Room but failed to knock out AV Lando. Then I lost my Aegislash which was the only damage output against Metagross since my Lando was against two Intimidate Pokemon. Game 3 I brought Amoonguss over Fini, which limited Thundurus very well and supported my team to win this set. What was worth mentioning is that Incineroar did not have Intimidate at that time and Randy also had Hitmontop, so I did not bring it to this set at all even though Incineroar is supposed to have a decent matchup against Metargoss and Lele. Thanks to Demitri’s amazing 4-0 performance in Swiss, I managed to cut as 4th seed. I came up with a solid plan to lead Gardevoir and Lando, which threatened both Zard Lando or Snorlax Cress lead from Demitri. Game 1 I used U-turn to Snorlax and switched Lando to Incineraor against Cress Lax, keeping momentum in my favor. Game 2 Lando Gardevoir gave a lot of pressure to opposing Zard thanks to Banded Rock Slide. At the winning turn, my Incineroar used Knock Off right the way to take down opposing Cress instead of Fake Out to Koko, preventing its Trick Room. My Gardevoir set up Trick Room when opposing Koko protected itself. I could afford to lose Gardevoir at that turn since huge damage was already done to Koko and Zard so I made this aggressive but reasonable play to seal the game. Once I saw this familiar 2015 team I thought I probably got this. Clayton’s team had no massive damage threat to my Gardevoir, and my team had both type and speed advantages on damage trading. I managed to win this set by well using Fini to counter opposing Heatran, which was the only blind point of Gardevoir. I did practice Japan sand until 4 am but still kept using my Gardevoir team in the tournament. I actually just played Japan Sand to have fun and learn the meta since I barely played Pokemon before going to Portland. From round 1 to 3, I was not fully warmed up so I did not play well enough. Even though I managed to win all of them, I definitely could’ve played better to prevent the sets going to game 3. Ethan played fairly well in this set. Game 1 the game was in his favor most of the time, but he made questionable prediction and ignored my unhealthy Gardevior for 2 turns, which gave me a chance to bring momentum back. Game 2 I played too defensively, letting Naganadel set up Tailwind for free. Its Sludge Bomb threatened my Fini and Gardevoir and Z Dragon move even just knocked out my Lando. Game 3 my Gardevoir took Sludge Bomb and used Psychic to OHKO Naganadel, which helped me control the rest of the game. Unfortunately BC players kept playing against each other again. I had a pretty decent team matchup against Randy since his team has no Fairy type resistance and two Pokemon weak to Fairy type attack. In the last turn of game 1, my 20% HP Gardevoir Hyper Voice Crit 80% HP AV Tyranitar in the sand, which won me this game that I was not supposed to win. Game 2 Randy’s -2 attack Salamence Double Edge Crit my full HP Gardevoir, dramatically bringing the set to 1-1. I took my advantage and played well in game 3, leaving no chance for Randy to come back. A Mega Metagross team, the first challenge I faced of the day was on stream! However, I played really poorly in game 1, which was my worst played game throughout the entire tournament. I made a hard prediction that Metagross would protect. As a result, my Gardevoir got knocked out and Aegislash only did little damage to opposing Fini. After this round, I realized at that turn Wide Guard and switching Gardevoir to Incineroar would be a very safe play. Game 2 I pulled momentum back after Trick Room was set up and won game 3 after Jackson made wrong prediction since I was willing to sacrifice my Incineroar in that game. It was a back to back Metagross team matchup. I became more confident since I won last one on stream. I played well around my Incineroar, Aegislash and Fini to take game 1. Game 2 my 80% HP Incineroar got a crit by opposing -2 attack Kartana, which put me in a bad spot. However, in the late game my Fini managed to get double protect to burn the Z move from Koko, which allowed me to win this game back. There was actually a lunch break between round 4 and 5. What was interesting is that my hotel roommate, another Gardevoir team user did talk with me about our matchup in this round during the break. We felt unfortunate but also excited about the happening Gardevoir dual. 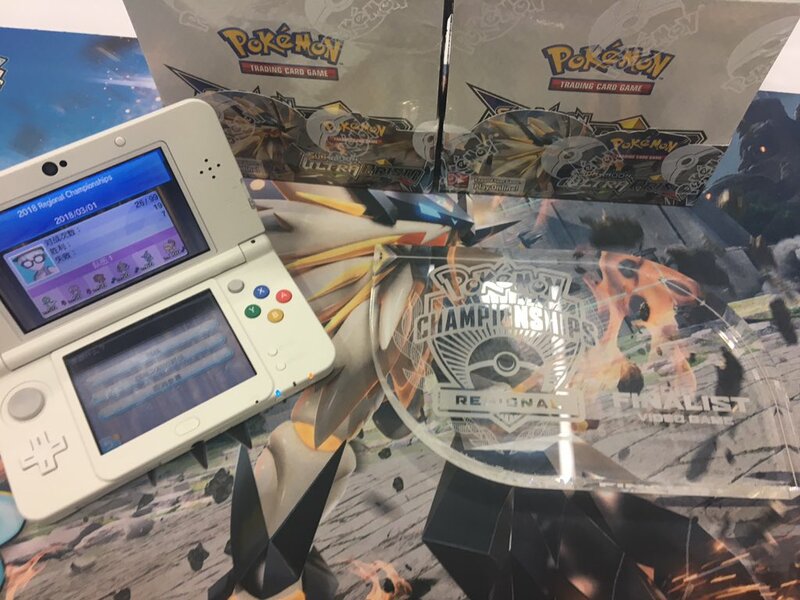 Even though my Gardevoir and Incineroar were faster than his, I lost game 1 and found Koko was a big threat since I brought Aegislash. I brought Amoonguss over Aegislash in game 2 and it worked very well to win me this game. Game 3 I got lucky that my Hyper Voice got a Crit to opposing AV Lando, putting it in another Hyper Voice Range. I finally won game 3 which could’ve been more intense without that Crit. I was surprised that I had to play against another player from BC this turn that decides who could make top cut right here. I was very familiar with this matchup thanks to two sets against Demitri in Vancouer MSS. I led Gardevoir Lando to give pressure to opposing Charizard and Snorlax. I figured out Quinn had Scarfed Lando most likely and Timid Charizard, which meant my Lando could not survive before it got Rock Slide off, so I switched to Incineroar mode that also countered Charizard well. I lost game 2 because I failed to stop Snorlax setting up due to a risky prediction. Then I played more carefully in game 3 and pulled this set back. Even though I already cut, I was still supposed to win this round to help a few friends who lost to me. I saw Sam’s team on stream so I was confident to win because the matchup was in my favor. I did not play 100% safely so game 1 I lost Gardevoir turn 1 by Ghostium Z from faster Chandelure. However, I surprisingly pulled it back by the rest 3 Amoonguss, Incineroar and Fini. I planed and played game 2 much better and took this set easily. I believe I did not see any protect or more moves revealed from his Pokemon so there could a big chance that Sam meant to preserve his information since both of us already cut. I went undefeated in Swiss and managed to make top cut as 1st seed! I was not too surprised because I learnt a lot in late 2015 and I know how Gardevoir team works very well. In brief, I was very satisfied with quite most of my games on day 1. When I came back to hotel, I spent a lot of time researching the plan against River Davis in top 8 tomorrow. My friends Justin Burns and Ken Huang helped me practice a lot against River’s team. Also, my roommates Adrian who managed to make top cut as well, gave me some valuable advice since he already used Gardevoir teams against River in last round. I initially planed to use Aegislash against River since I could use Wide Guard to prevent Snarl and Ghost type move to threat Gothitelle. In the morning, I kept thinking that opposing Specs Fini could be a huge threat to my plan because I would have no water resistance, and Incineroar would be really important against Snorlax and Celesteela in this matchup. At last, I decided to choose Amoonguss instead of Aegislash in my plan. As what I planed this morning, this matchup went very smoothly after I brought Amoonguss instead. In game 1 when I was willing to sacrifice my Gardevoir, River focused my Amoonguss too much, giving Gardevoir a chance to even knock out Celesteela. In game 2 that double switch from Amoonguss to Incineroar allowed me to knock out Celesteela without any trouble, which basically decided my victory. I was so excited that I would played against my good friend Gary again in top 4! The last time was back to 2016 worlds where we faced against each other at 2-2, which was a crucial elimination set as well. I was almost not prepared at all against Gary’s team. Once I saw his team in top 8, I immediately realized this set would be in my favor because Gary had no Fairy type resistance and two Pokemon weak to Fairy type attack. In game 1 I thought about the first turn for a while and decided to trade my Incineorar for Pheromosa. I was very confident of that trade since Snorlax was stopped by Fake Out and my Lando in the back could take care of it. I did go for Earthquake Hyper Voice play because I knew Superpower on switching in Incineroar would probably trigger its berry and prevent it being knocked out by Hyper Voice. Earthquake would also cover Fini switch in since it would be like to take Superpower. Game 2 because my Incineroar was faster than Gary’s, I controlled the board in my favor all the time. Another double switch play from Amoonguss to Incineroar shut down Snorlax completely, which helped me win this set at last. I was so excited that we fulfilled our appointment made before top cut and made Gardevoir finals! Couldn’t wait to enjoy this final set against the other Gardevoir team! In game 1 I played a little bit casually. I made a hard prediction and switch Incineroar to Amoonguss in turn 1, which I usually wouldn’t do. I was punished hardly that my Gardevoir took a Z move from Koko and lost the chance to keep using Hyper Voice. I tried my best to pull this one back but Adrian just played very well to seal this game. In game 2 somehow I repeated the play I did in game 1, which did work due to some reasons of the mind game. My Gardevoir also got a Crit to Adrian’s, helping me tie this set before game 3. I did not take any risk and just went for Fake Out Hyper Voice in game 3. In the first half of this final game, I played as perfectly as I could. However, when Adrian sent out his Snorlax that never appeared before, I was a little bit lost to figure out a way against it. In the turn Adrian switched Incineroar to Koko, I just realized how I should play instead right after I clicked Spore. The game was turned to be in Adrian’s favor and I lost game 3 with some disappointment to myself. I was laddering with my Gardevoir team on Battle Spot a few hours before we left to Portland but my rating was just teetering between 1500 and 1600. I was beaten hardly and all games I won were really tough, which made me think it might not be the call for Portland. When I was laddering at midnight on Showdown, I saw Milotic, Bisharp, Empoleon, Wigglytuff, Malarma, Serperior, literally every Intimidate “counter” that I could. They even had 2 or 3 in one team which gave me a lot of pressure. However, I never saw any in the tournament. I used a Japan Sand like Salamence team at hotel most for fun and never thought about bringing it to the tournament. Rapha kept trying to convince me to use Zapdos over Aegislash. I kept Aegislash in my team for Metagross matchup but somehow also kept fast Incineroar which was for Tailwind. I started believing the 2nd place curse on hatters. Gardevoir is such an impressive core under supports of the entire team. It keeps doing sizable spread damage to opposing team once steel walls are removed by its teammates. Double Intimidate and Rage Powder really help Gardevoir to stay as long as possible. We has also seen GardyLax, a really cool combination just won Portland Regional. Accordingly, I think there might be more potential for Gardevior in the future. Also I will be enjoying more sound waves from Gardevoir in company with the best cat! At last, big shoutouts to Rapha booking the hotel rooms for us and gave me a lot of advice as an initial Gardevior player; Randy driving us in Vancouver and Portland during the weekend; Justin and Ken helping me practice and prepare for top cut; and Adrian making such an amazing finals with me!